Are M’sian Grads Up To Par? Dyson’s Global VP Of Engineering Gives His Candid Opinion. Dyson’s Development Centre in Johor celebrated the launch of their fourth expansion earlier this week. The centre works on research and development of new Dyson products for the global market and is one of the company’s key hubs for product development, testing, and streamlining of workflow. We spoke to Dyson’s Global VP of Engineering and Operations about acquisition of Malaysian talent and their focus on the education sector. 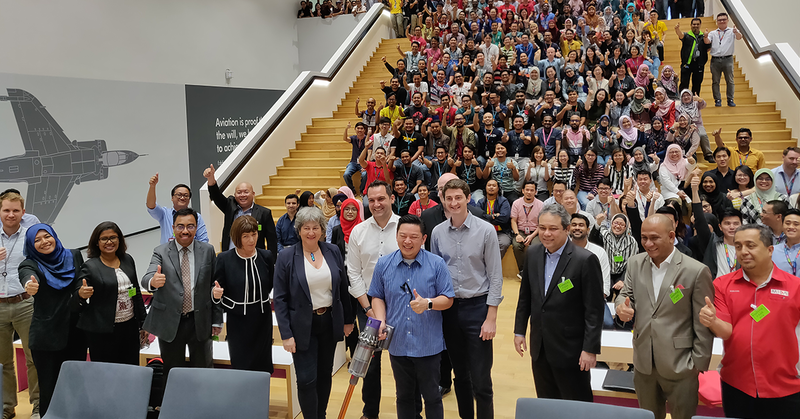 Early this week, global tech giant Dyson celebrated the launch of the fourth expansion of their Development Centre in Senai, Johor. Designed as a dedicated research and development facility for their line of floorcare and health and beauty appliances, the fourth expansion increases the now 18-year-old Development Centre’s footprint to 35,000 square metres and now houses 22 specialised laboratories with state-of-the-art equipment and machinery. Present at the event was Malaysia’s Minister of International Trade & Industry, Yang Berhomat Datuk Darell Leiking to officiate the launch. This all comes as a significant development for Malaysia’s tech development sector, with Dyson considered a global innovation leader in the various sectors it currently involves itself in. Last year, the company from Malmesbury, United Kingdom marked the production of its 100th million machine as manufacturing volume reached a record 80,000 machines a day. In close proximity with regional suppliers, the facility in Johor will now only continue to increase in importance as a centre for innovation and the streamlining of manufacturing techniques and processes. As it stands, the Johor facility employs about 1,200 individuals (of which 800 are engineers), with a healthy percentage (between 80% to 90%) of their workforce hailing from around Malaysia. In 2019, the Development Centre plan to take on board 200 more engineers to complement their current development team. 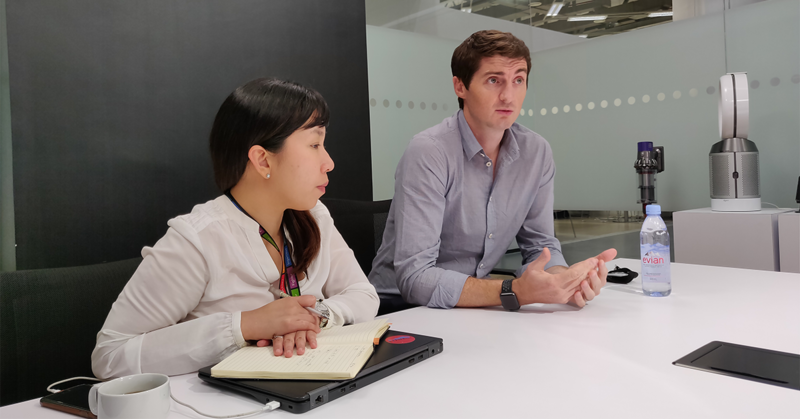 Having a chance to speak to Dyson’s Global Vice President of Engineering and Operations during the launch, we asked him for his thoughts on the quality of Malaysian engineers relative to those from their other facilities around the world. 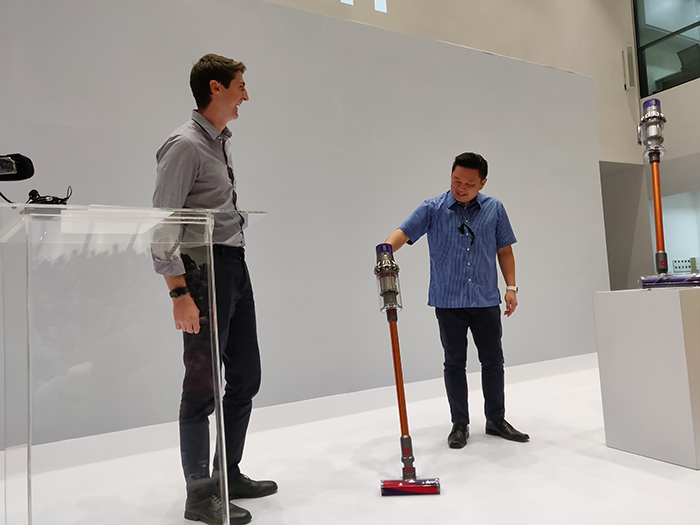 He explained that this active involvement with the education sector currently contributes heavily to Dyson’s ability to attract top talent all over the world and keep them committed to the brand for the long term. “I think that partnership has really helped us get engineers that are extremely qualified—all the way up to PhD levels—that have already been working on developing real-world products, and that’s pretty special,” he explained. He also stressed the importance of the tech industry as a whole working together with universities to create a symbiotic relationship. Here he gave the example of the James Dyson Foundation—Dyson’s very own charity that involves itself with education institutions all the way from primary school to university. In Malaysia, the foundation runs activities such as engineering workshops, industry talks, and student competitions all in an effort to help bring the best engineering talent through. So far, educational institutions benefitting from Dyson’s educational efforts have included Universiti Teknologi Malaysia (UTM), Universiti Sains Malaysia (USM), University of Nottingham Malaysia (UNMC), and University of Southampton Malaysia (USMC), all of which have been recipients of credit-based internships, senior leadership advisory, industry talks, and eligibility for the James Dyson award. “But we’ve always found Malaysian university students to be very open and engaged with what we’re doing here which is real R&D—not many companies do actual R&D in Malaysia, and they’re incredibly engaged,” he said.